Art 300 had originally been designated as a course that would focus on professional modern artists’ work using M.U.S.C.L.E as inspiration. This topic will likely become Art 400. 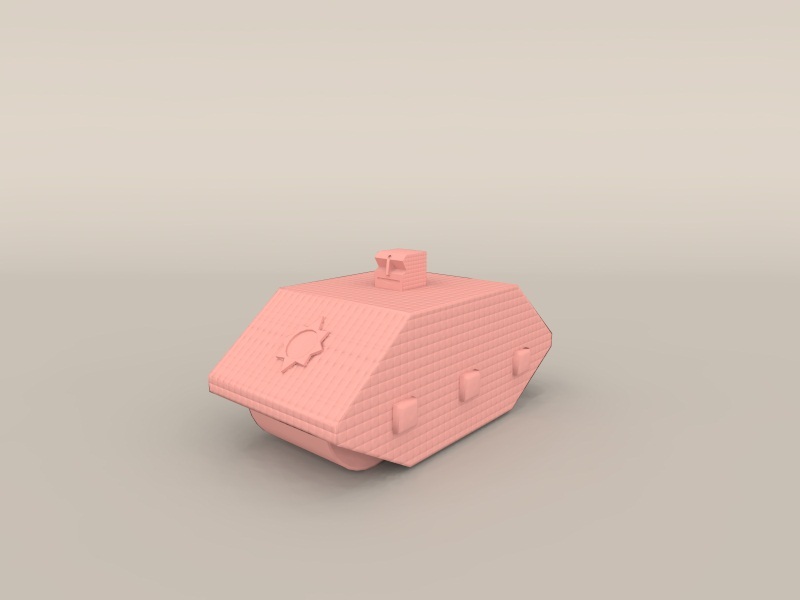 The new idea for Art 300 is to feature the wide array of M.U.S.C.L.E. 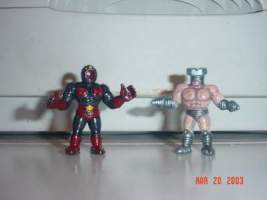 fans and collectors that express their passion for M.U.S.C.L.E. as art. Art 300 would collect M.U.S.C.L.E. art; everything from the earliest work of Kevin Mayle on the MPS newsletter to the most recent art contests on LRG.com – and certainly everything in between. The art may include custom figures, paintings, drawings, and pictures – essentially any piece of fan art. There may be some gray area regarding when the art is Kinnikuman-inspired or M.U.S.C.L.E.-inspired. These potentially perplexing situations will be addressed case-by-case. This potential confusion does not seem like the type of problem that negatively impacts the collection of art. The preliminary plan is to arrange the art by format and date. Each picture featuring the art would have the artist listed and, when possible, a short description. 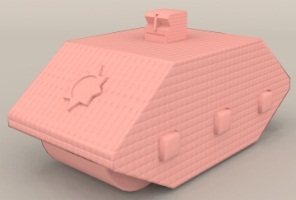 If you would like to submit any of your art or have suggestions regarding art that should be included, then please email the University of M.U.S.C.L.E..
After being inspired by some other Sunshine customs Matthew set to work using Wings 3D plus POV-Ray and created this tank-like Sunshine. Date: Drawn March 3, 2008. Colored February 7, 2010. 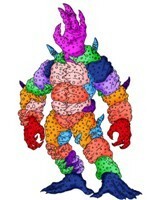 Ericnilla had drawn this #153 inspired monster for an art contest, but never colored it. As a gift sborders colored the drawing and sent it to Eric. Robotube painting figures when he had multiple copies of a figure. In this picture he shared a painted #103 and #149. This entry was posted on Tuesday, March 9th, 2010 and is filed under Art, UofM News. You can follow any responses to this entry through RSS 2.0. You can skip to the end and leave a response. Pinging is currently not allowed. Art 100 Changes & the 233 Counterfeit Collection « University of M.U.S.C.L.E.